The United States Pharmacopeia (USP) is a nonprofit organization that sets standards to promote the quality and safety of medicines and foods. USP Chapter 800 (initially published in 2014 and revised in 2016) describes safety standards for handling hazardous drugs in healthcare settings. The goal of these regulations is to enhance veterinary worker and patient safety as well as environmental protection. USP 800 regulations apply to the handling of hazardous drugs in all healthcare settings, including pharmacists, physicians, nurses, veterinarians, and technicians. The driving force behind these regulations originated from a veterinarian, Dr. Brett Cordes, who was diagnosed with cancer in the early 2000s. Based on his work history, he believes that early exposure to hazardous substances contributed to his cancer development. Dr. Cordes was successfully treated for his cancer, and he became passionate about safety for healthcare workers handling hazardous drugs. Dr. Cordes met with USP officials in Washington DC and has been integral in the establishment of these critical safety regulations. Why are These USP 800 Updates Important to Veterinary Hospitals? Chemotherapy handling and administration to veterinary patients puts healthcare personnel at risk of chemotherapy exposure. Environmental exposure to even low levels of chemotherapy agents can lead to an increased risk of reproductive failure and cancer development. Therefore, safe handling of chemotherapy agents is critical to the well-being of veterinary healthcare personnel. Figure 1. Biological Safety Cabinet, Class II B2. Image courtesy of https://www.tradeindia.com. Figure 2. Phaseal Closed System Transfer Device. Image Image courtesy of: http://www.oncosystems.com. What Will This Mean for Veterinary Hospitals? 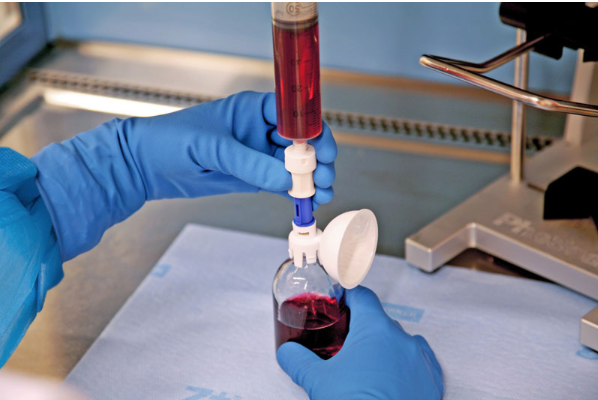 USP 800 regulations outline requirements for environmental quality control, safe handling of chemotherapeutic agents, and personal protective equipment (PPE). Environmental specifications include the requirement for chemotherapy drugs to be stored and administered in a negative-pressure room accessed through a positive-pressure anteroom. This space configuration prevents backflow of vapors into the hospital environment. 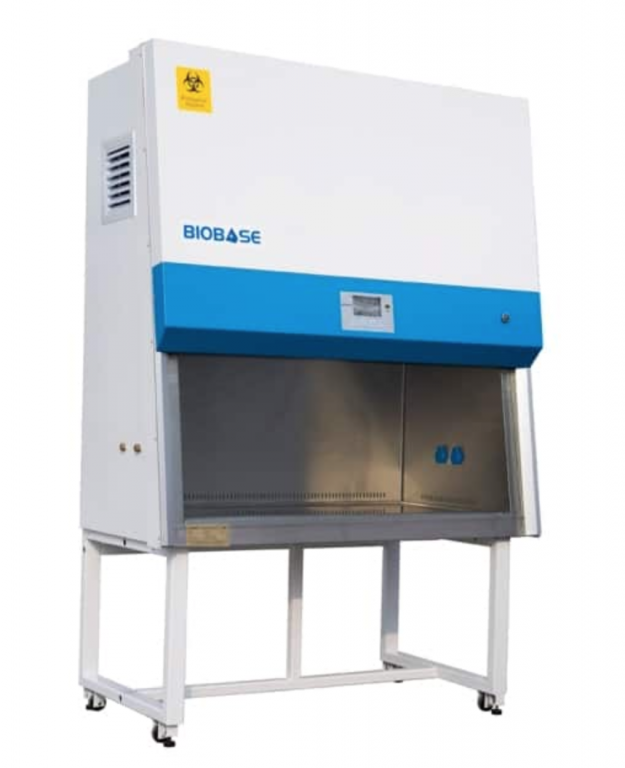 All chemotherapy drugs must be reconstituted and drawn up under a biological safety cabinet (figure 1) (chemotherapy hood) that is vented directly outside. Additionally, use of a closed system transfer device (i.e. PhaSeal®, Equashield®) is required (figure 2). Closed system transfer devices prevent the leakage of chemotherapy liquids or vapors out of the system, as well as prevent environmental contaminants from entering the system. Healthcare workers administering chemotherapy drugs to patients must wear appropriate PPE including a non-permeable gown, head, hair, and shoe covers, and two pairs of chemotherapy gloves. When Will USP 800 Regulations be Enforced? Given the extent of structural changes and equipment requirements mandated by the new USP 800 regulations, most veterinary clinics not yet in compliance will require significant renovations and training for their team. Therefore, sufficient time has been allotted for these upgrades. Compliance with USP 800 regulations will be enforced starting on December 1, 2019. Additional Questions about USP 800? For additional information on USP 800, please visit the USP website. VIN members can also access several informational presentations by veterinary pharmacists highlighting the impact of USP 800 on the veterinary community.